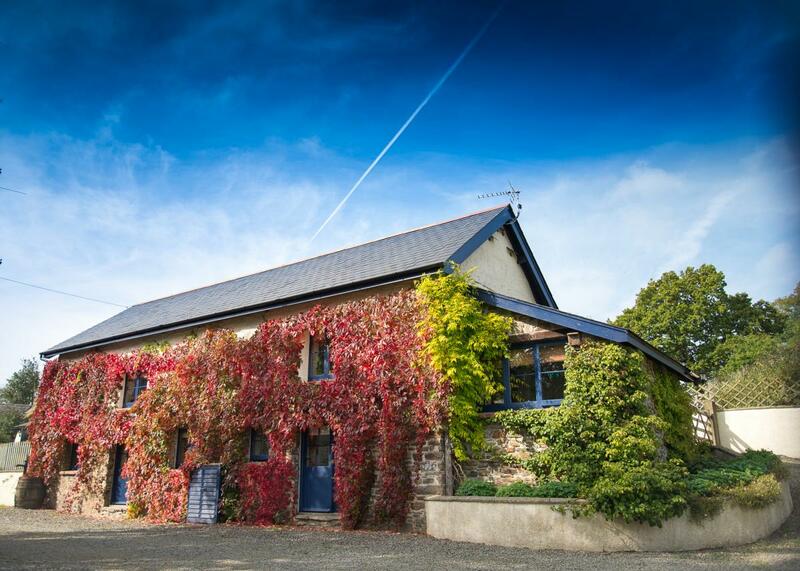 This child-friendly farm-stay is located in North Devon and is perfect for a family break any time of year. 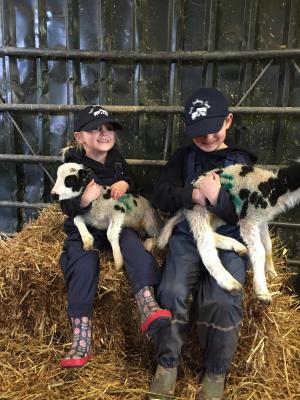 The holiday cottages are ideal for babies, toddlers and young children plus there is plenty to keep the whole family busy without even having to leave the farm. Enjoy camp fire cooking in the wilderness area with its stream and den building , or maybe splash around in the outdoor swimming pool. 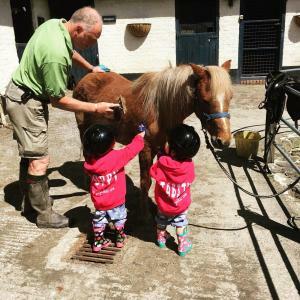 Toddlers and young children will love the farmyard play area with ride on toys, trampoline, playhouse, slide, swing, play shop and more. 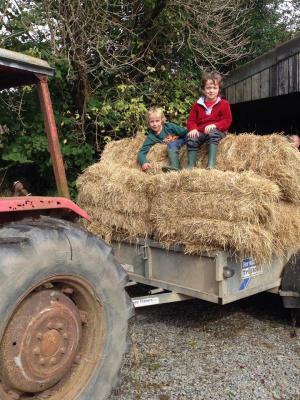 The barn is ideal for older children to have fun, building dens from straw bales and playing table tennis. 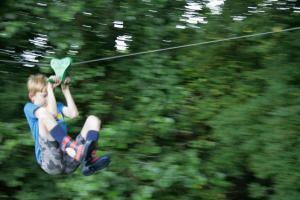 The whole family will enjoy the bug and scavenger hunts and the 10 acres to explore, picnic and laze around in. 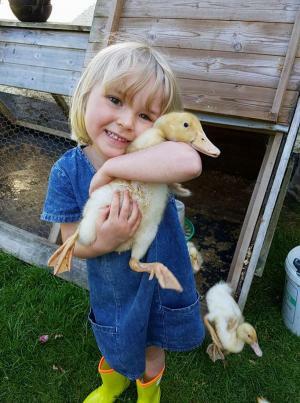 If animals are your little ones’ thing then they won’t be disappointed. 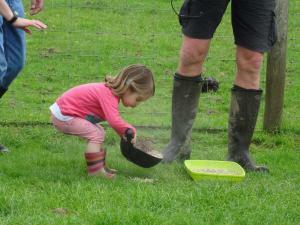 Egg collection, twice daily animal feeding and pony rides are all on offer. The owners also supply muddy buggies for use around the farm, keeping your own nice and clean! 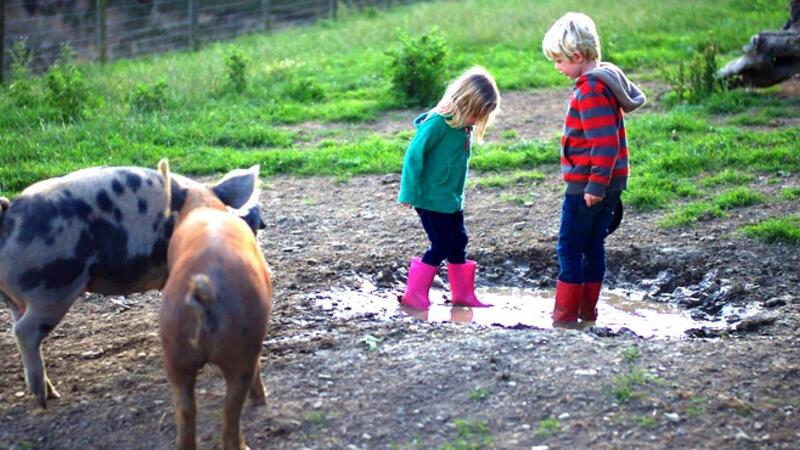 If you can drag the kids away there are lots of family friendly fun day outs within easy reach: from beaches to miniature railways, a zoo, trails, farms and more, see our Top 10 for inspiration. The local pub is toddler friendly too and is located just 2 miles down the road, so easily walkable. 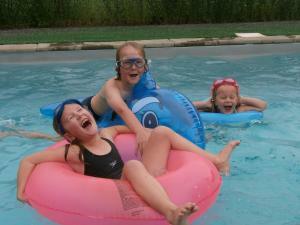 The adults are well looked after here with a farm shop full of homemade yummies including frozen take-aways. 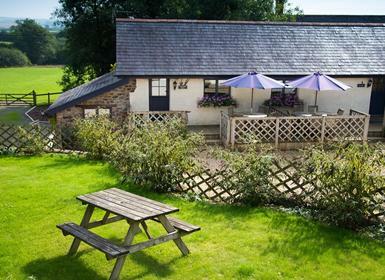 Try your hand at clay pigeon shooting or just chill, read a book or book a massage. There are two adjoining child-friendly holiday cottages converted from a 17thcentury barn, making the most of original features. 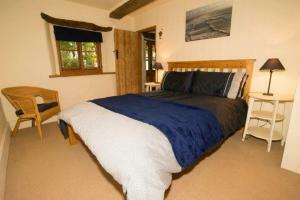 There is an internal door on the first floor, so the cottages are deal for larger groups up to 10. 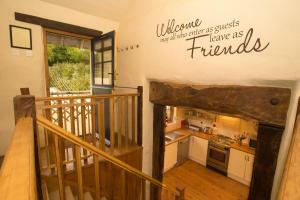 Both cottages have vaulted ceilings giving a feeling of light and space and lead out to their own private veranda. For larger groups the partition can be removed. There is ample parking and a shared fully-enclosed grass garden. 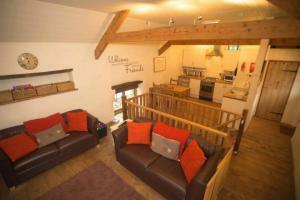 Fully equipped kitchen diner and lounge leading to outside seating area. There is also a toilet. 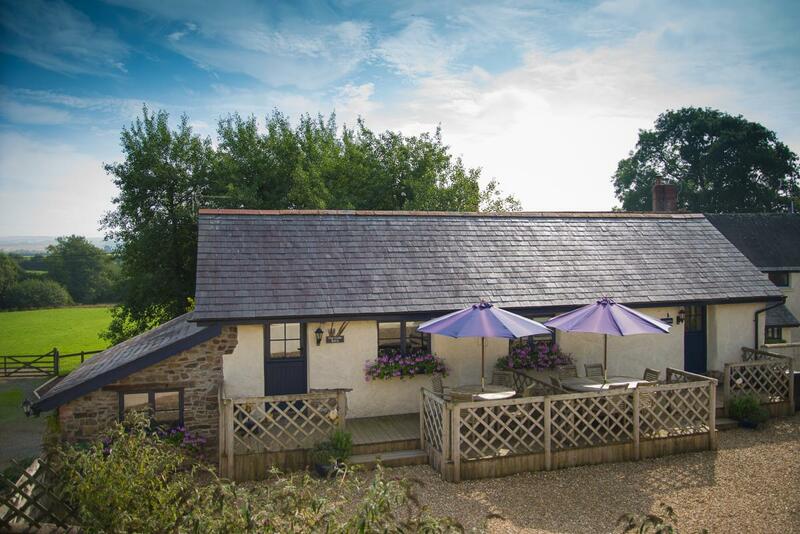 Electric wood burners and under floor heating make these lovely cottages ideal for a family break any time of year. 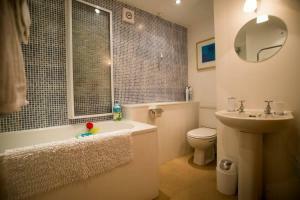 Both are fully equipped each with a dishwasher, microwave, flat screen Freeview TV’s, DVD player etc. 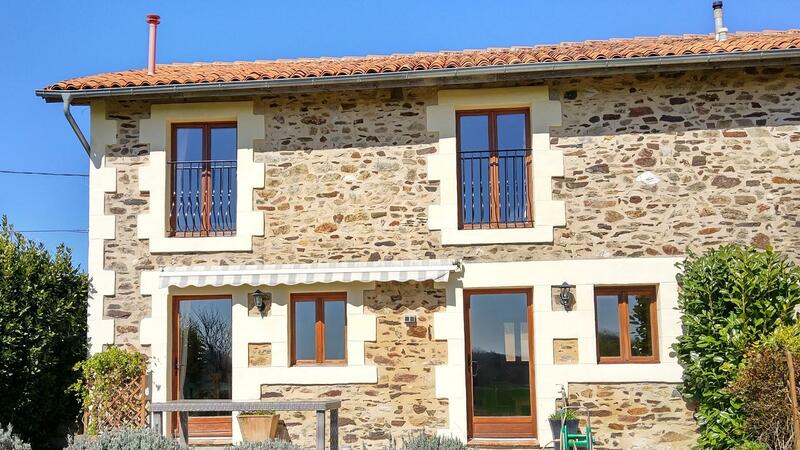 As with all the holiday properties on Holiday Tots the cottages are ideal for babies and toddlers with stair gates, cots, highchairs, booster seats etc available. There is an external laundry room with coin-operated washing machine and tumble dryer, sink and storage for bikes, wellies and buggies.